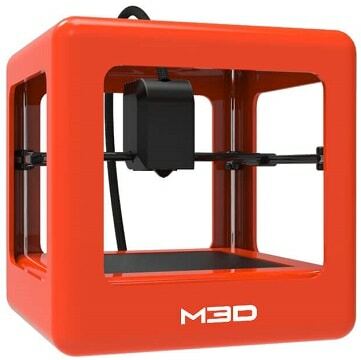 M3D Printer Review 2019 - Is This 3D Printer Worth The Money? Usually, when you see a seemingly great product for a very low price, alarm bells start ringing. However, every once in a while, you’ll find a product that genuinely lives up to the hype. 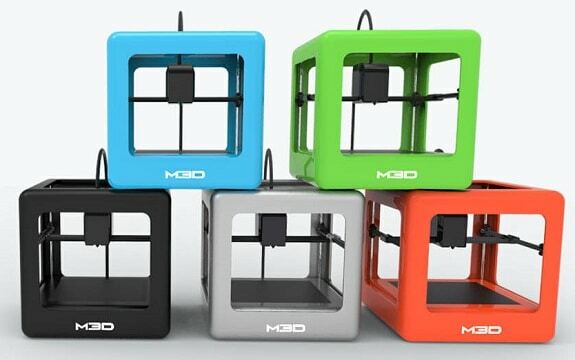 Today, we’re taking a look at the M3D (Micro 3D) – an extremely compact, low-cost 3D printer. We’ll be looking out for any areas it excels, but won’t shy away from mentioning any flaws we uncover. This way, you’ll know our coverage is balanced and impartial. This not only benefits us but lets you decide if a given printer is right for your needs. With that said, let’s begin. This printer comes in five bold shades: red, blue, green, grey, and black. It’s cube-shaped, 7.3” in every direction, meaning it’s among the most compact 3D printers on the market – perfect for sitting atop a standard desk. The whole thing weighs just 2.2lbs, too, thanks to its lightweight, carbon fiber frame. As you might expect, the build area is fairly small. It’s not uniform either, as it’s a little wider than it is deep. Still, this offers enough flexibility for most small projects, and larger models can always be printed in several parts. That said, the print speed isn’t astounding, so it might take slightly longer this way. 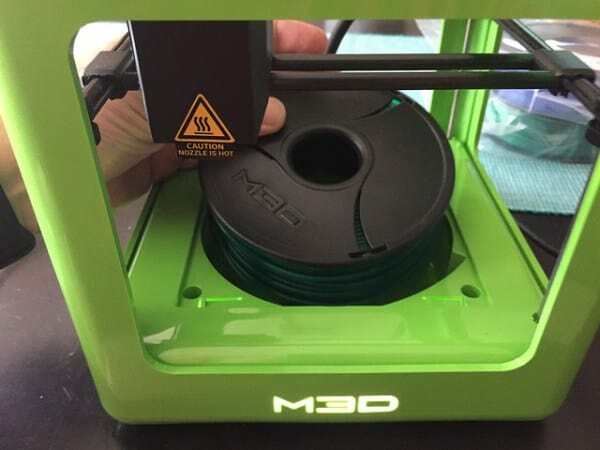 Notice the lack of a filament spool – it’s actually contained underneath the print bed! Now, this printer can only fit about half a spool at a time, so you’ll have to either buy smaller rolls or re-spool half of it each time. This isn’t a huge problem, but it’s definitely worth bearing in mind. 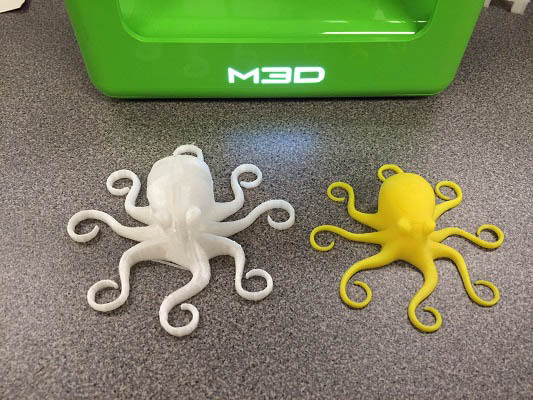 For its size and price, the M3D actually produces decent-quality prints. It has a layer resolution of between 50 and 350 microns, so you can reproduce fairly detailed models. However, it does have a tendency to produce loose threads and extra hanging material, particularly on areas with an overhang. The edges come out crisp and well-defined, although supporting structures are often wispy. A quick buffing with a cloth will remove most of these imperfections after the fact, though, and supports are intended to be removed, so as long as they do their job, there’s no problem. All in all, not bad. 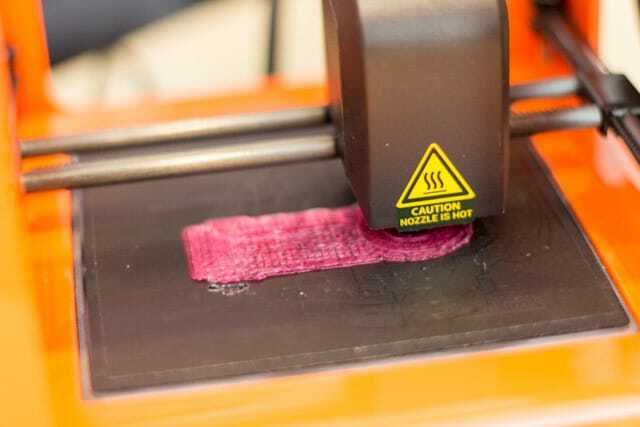 Usually, entry-level printers only support a handful of different materials, but this one is capable of printing with a whole host of different filaments. With the right nozzle upgrade, you can even use carbon fiber, if you’d like – something very few budget printers support. One of the best things about the M3D is the lack of fuss. 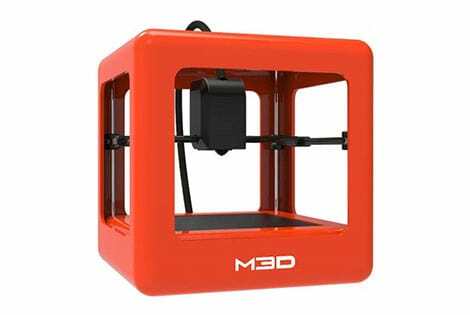 Normally, there are several things to check before getting started, but the M3D does a whole range of checks and calibrations automatically. Everything is taken care of, leaving you free to get the good bit: the printing itself. This printer comes with its own, specially-designed software, which is available for Windows and Mac. There’s no Linux support, unfortunately. This software is easy to use, although it does have to be left running for the entirety of the print. There’s a handy little percentage notice, though, to give you a vague idea of when it’ll be finished. You can, of course, use different software if you’d like. 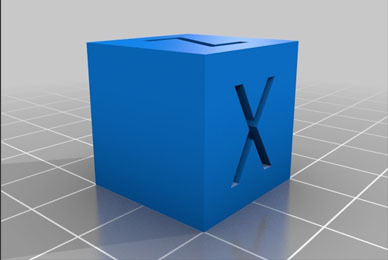 However, for new users, the M3D application allows you to hit the ground running. It’s straightforward but allows for a good degree of versatility and control over your models. Considering this model retails for less than $300, its print quality is astounding. This is among the least expensive printers available, yet it outperforms some far more expensive models. Sure, it’s likely not going to be enough to satisfy pro users, and it absolutely can’t stand up to commercial use, but for beginners, it’s perfect. This unit doesn’t offer any upgrades or variants (other than the color), plus the software it uses is included for free. As such, there are no hidden costs beyond those of the proprietary, smaller spools of filament. 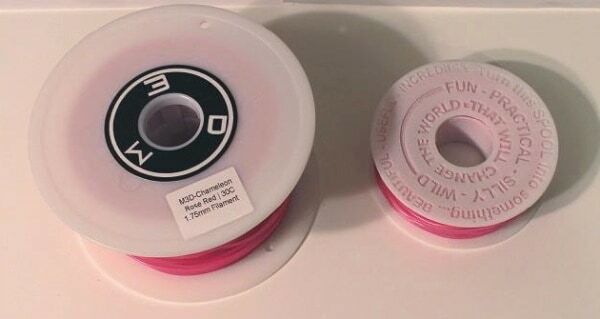 These are entirely optional, though, and third-party filament can be used if you spool them manually. As far as pricing goes, there’s nothing to complain about. What you see is what you get: a low-cost, compact printer with no additional charges. Micro 3D provide a good range of support options in case you run into trouble. There are tutorials, a Discord-based user forum, and even a dedicated area where you can log in and raise a support ticket. This is how you’re supposed to do customer support: as simply as possible. That said, the warranty period is pretty short at just three months. You can extend this by a year or two for a price, but at the time of writing, the page to do so returned a 404 error. Still, we’d expect the price to be fairly low given the cost of the printer. We’ve seen printers where the extended warranty costs more than a brand new M3D though, so don’t take it for granted! 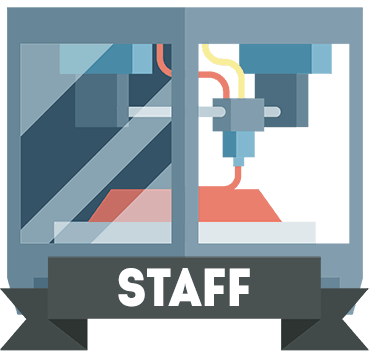 The knowledge base is pretty extensive, with guides covering everything from the basics of 3D printing to advanced tips for the software. 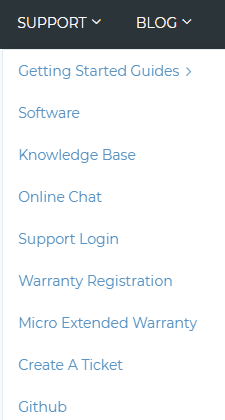 Really, just about any issue, you could encounter will be addressed in here somewhere, so in all likelihood, you’ll never need to request help from support. 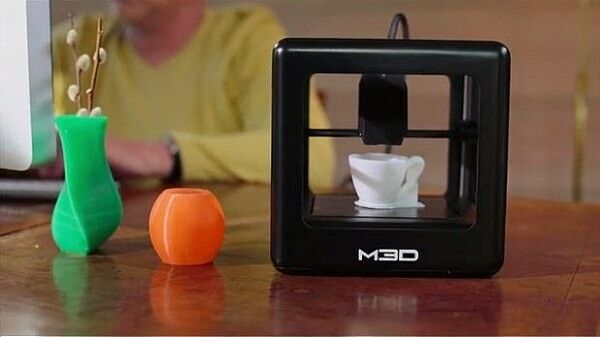 The M3D represents the best of both worlds: it’s a powerful and versatile printer that takes up very little space and won’t break the bank. 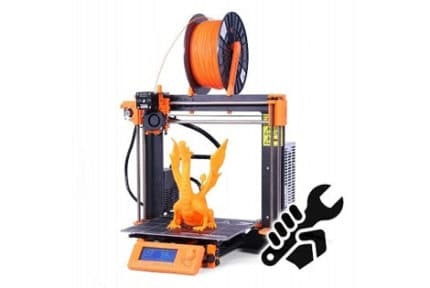 Sure, it’s not capable of building very large prints or mass producing models, but for beginner to intermediate users, it’ll be more than enough. Everything about this model is designed to make your life easier. The software is simple and streamlined, the customer support is excellent, and there’s no construction required. 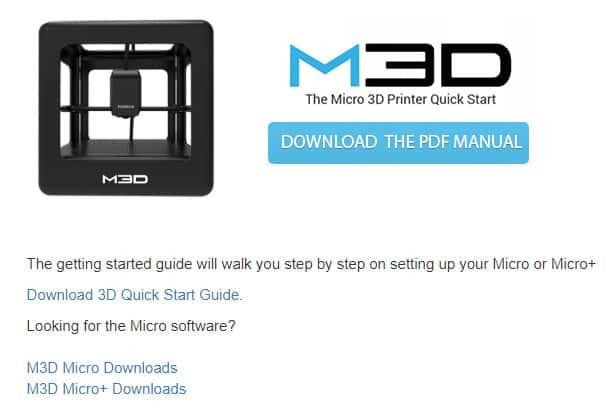 If you want to buy a 3D printer but don’t know where to start, you could do far worse than the M3D. 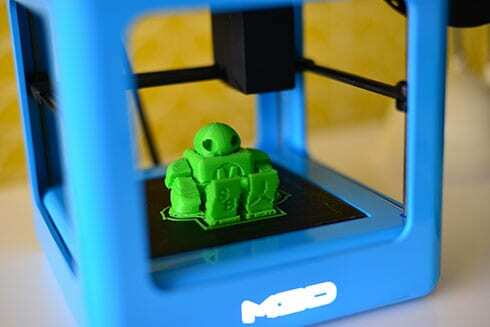 All in all, the Micro 3D Printer is a good 3D printer for consumers to buy today. We were impressed with the quality for the money you pay for this particular 3D printing device.